This really is a pleasure. You know him as George Thekummottil. Well his real name is Josekutty Valiyakalumkall from the hilarious YouTube series, Akkara Kazhchakal. His performance as an "Homer-Simpson" esque Malayalee uncle is absolutely on point. It's even a little too real. Chung Lao: Josekutty, thanks for being interviewed here at IndaPhatFarm.com How are you? Josekutty: I am doing very well. I hope your doing the same. Josekutty: I grew up Kerala, India in the town of Kottayam. Chung Lao: When did acting become a passion in your life? Josekutty: I have done many plays and skits in school during my high school years. As years went on the acting abilities stuck with me as I also have done many dramas and skits with friends of mine. Chung Lao: Where does the inspiration for George Thekummottil come from? Josekutty: The inspiration of George�s character comes from the script-writer himself. 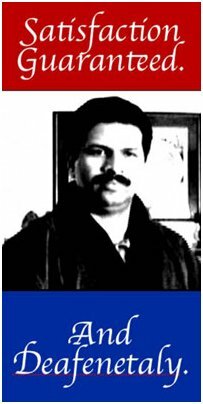 Ajayan Venugopal, the scrip-writer of Akkara Kazhchakal created a character that portrays an average typical Malayalee uncle/husband/father living in America. Chung Lao: How much of George Thekummottil is in you? Josekutty: I can say that I am about 75% George Thekummottil. It was not hard for me at all to become that character. Chung Lao: What types of reaction do you get when people recognize you from the show? Josekutty: Everyone recognizes me wherever I go, whether it�s at the movies, the mall, at church, etc. People are very happy when seeing me and speaking to me. I have become a part of their family through my character in Akkara Kazhchakal. Josekutty: The Malayalam movie Thirakatha which came out in 2008 is my favorite movie as of yet. It�s simply an amazing story. Josekutty: I like all actors. I believe that each individual has their own character and do their job to the best of their ability. Chung Lao: When it�s all finished, what do you want your legacy with Akkara to be? Josekutty: I have no big hopes or dreams. I am happy enough with the success Akkara has become and the popularity it gained. 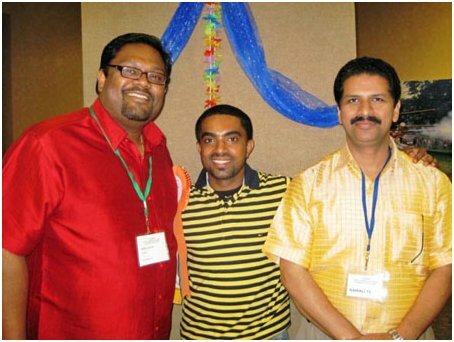 It truly is God�s blessing for all of us to be recognized in the highly populated Malayalee community. I encourage everyone to watch and continue watching Akkara Kazhchakal! Josekutty: Keep your eyes and ears out for new episodes and continue the support for Akkara Kazhchahal. Thank you all very much! Chung Lao: Appreciate it sir. Next up on The Tonight Show is Abi Varghese, one of the directors of Akkara Kazhchakal. Keep it locked!